Valley CrossWay Church is a liturgical worship community that places a strong emphasis on the reading of Scripture, prayer, and music in the classical tradition. The Valley CrossWay Church meets in the Great Hall of the Calvin Presbyterian Church. Valley CrossWay Church uses the north entrance. 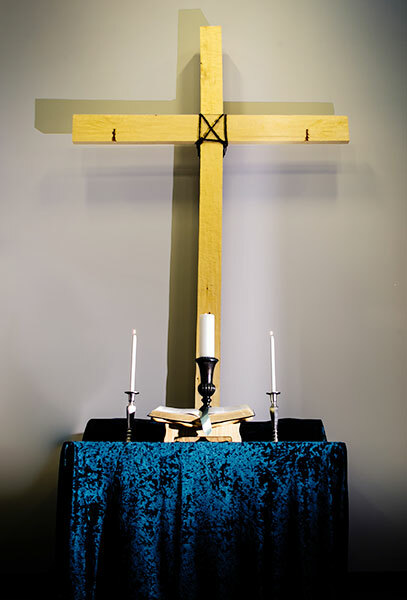 Valley CrossWay Church is a liturgical worship community that places a strong emphasis on the reading of Scripture, prayer, and music in the classical tradition. Our worship follows the Church year and has a liturgical framework that is created afresh for each Sunday morning. Our worship draws upon both ancient and modern forms, symbols and expressions of faith, to open the heart and the mind to hear God’s voice and empower us to serve him.